While you may want to avoid talking politics in social settings, the same is not true at home. In fact, children are witnesses to our most honest opinions on most matters, including politics. 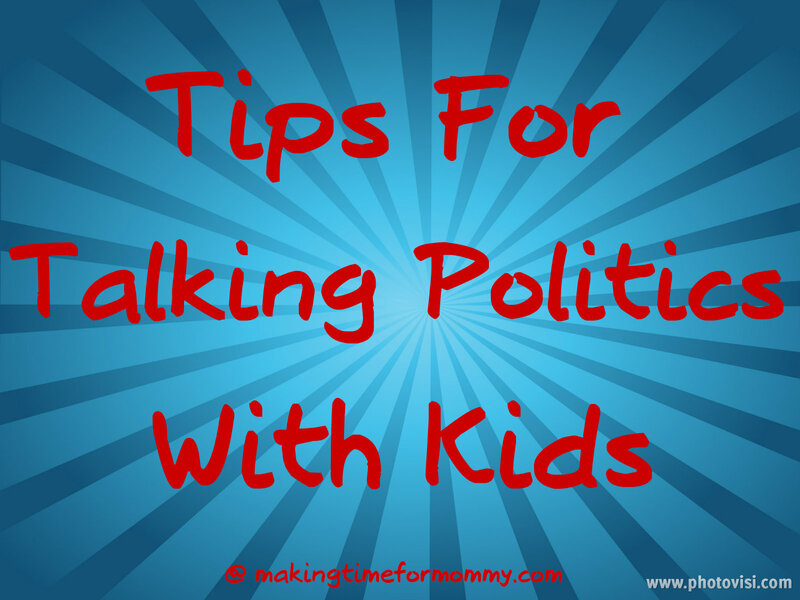 As parents, you are responsible for introducing the idea of politics and debate to your children, and launching their personal journey toward being part of the democratic process. No small task. How can parents help their children to understand the importance of politics and debate while reassuring them that they’re safe? Have a Party: Encourage your child to create their own mock political party. They can decide on their platform, create a symbol and even debate siblings or friends on the merits of their party. Perhaps the winner gets to choose the next movie to see or meals for a week. Vote on it: Macaroni & cheese or tacos for dinner? Create a mock voting booth and ballots for each member of the family. When all the votes have been cast, tally the results and talk about the process and how it relates to choosing a president. Dinnertime Debate: Give each member of the family 2 minutes over dinner to discuss why they prefer one candidate over the other. Be sure to include younger children – it may result in some unique perspectives. Children can practice important life skills, including active listening, respect for others and taking turns. Provide Age-Appropriate Answers: Younger children may simply want to know what an election means, in the most basic terms. Older kids will likely want more details. Explain Yourself: Particularly if you are passionate about the candidate you prefer, take the time to explain why. Defend your position, and what you like or don’t like about each candidate. Encourage your kids to ask questions or choose a candidate they prefer, even if it’s not the same as your own choice. Write a Letter: Whether electronic or old-school ink and paper, writing a letter to a politician is a great way to demonstrate the democratic process, and the importance of sharing opinions. In an election year, it’s likely your child will get a response. You can also find your local representatives by starting at www. (your state).gov.